Enter a decimal below to convert it to a ratio. You might come across a need to express a decimal as a ratio, and that’s possible to do in a few easy steps. The first step in converting a decimal to a ratio is to first express the decimal as a fraction. There is a handy calculator to do that, but you can also do it yourself. To convert a decimal to fraction, start by placing the decimal as the numerator over the denominator of 1. Then, continue multiplying both the numerator and denominator by 10 until the numerator is a whole number. You can optionally reduce the fraction at this point. 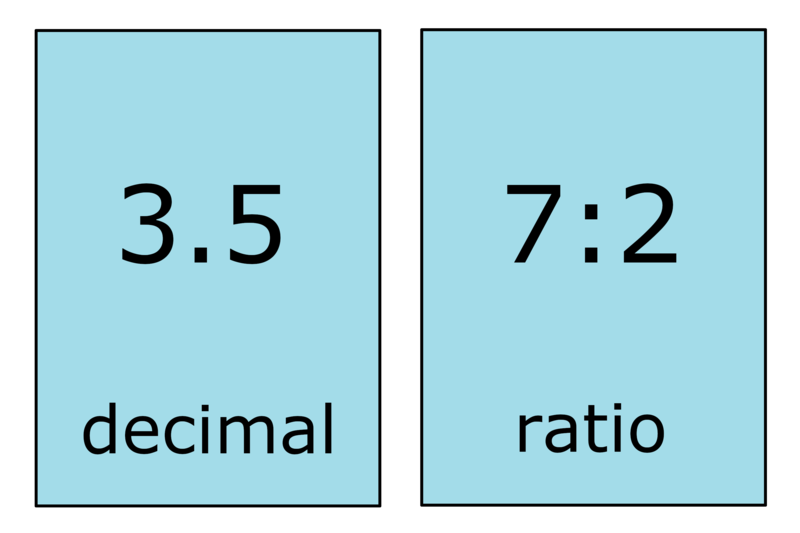 The second step in converting a decimal to a ratio is to rewrite the fraction in ratio form. To do so, place the numerator in front of the denominator and separate them with a colon (:) symbol. For example, convert 3.5 to a ratio. Start by converting 3.5 to a fraction. Finally, rewrite as a ratio. You’ll probably also find our ratio to decimal calculator useful.